Rihanna, Beyonce, Cardi B, Stefflon Don, Maya Jama, Mabel, Zendaya and Adwoa Aboah. These are just some of the women at the top of their game in the world of entertainment in 2018. But how much of their success is down to the shade of their skin? It's been suggested by some that black women with lighter skin find it easier to get ahead because of colourism. Colourism is prejudice against people who have a darker skin tone - and/or the preferential treatment of those who are of the same race but lighter-skinned. It's something that grime artist Lioness says she's experienced. She told Newsbeat she quit music for seven years and part of the reason was down to prejudice about her darker skin. "A&Rs [talent scouts] would say things like: 'She would be better if she was light-skinned' - and that sentence doesn't even make sense. "I know what they're trying to say, if I was light-skinned I would get further. "Once you get told that every single second, and being young as I was at the time, I just didn't like it. "So I stopped doing something I love because people kept talking about my complexion." The issue of colourism was reignited recently after Maya Jama addressed the controversy over a "joke" she tweeted in 2012 which mocked dark-skinned women. Some people on social media claimed the Radio 1 presenter's career has been helped by "light-skin privilege". Beyonce's dad Matthew Knowles also suggested some black people enjoy greater fame because they're lighter-skinned earlier this year. He claimed his daughter was more successful because of her skin tone and said virtually no black pop stars with darker skin had broken through in the past decade. 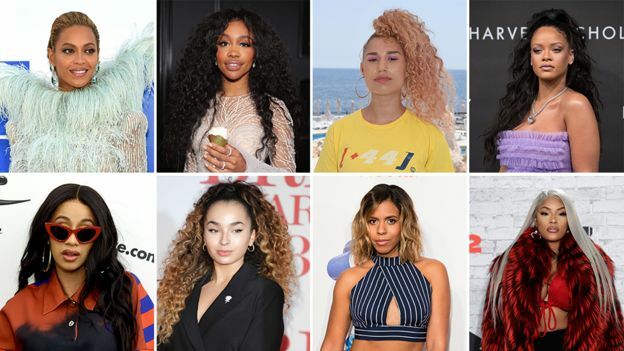 Of the 68 female solo artists who've been in the British Top 40 chart since the start of 2017, 17 are of black heritage - and the vast majority of those are lighter-skinned. Kelli-Leigh, whose mum is black and dad is white, got into the top 10 last year on the James Hype song More Than Friends. She said: "For some reason in the UK the doors are still quite closed for female artists who are of a darker complexion in terms of different styles... it shouldn't be based on our skin tone, it should be about who we are." 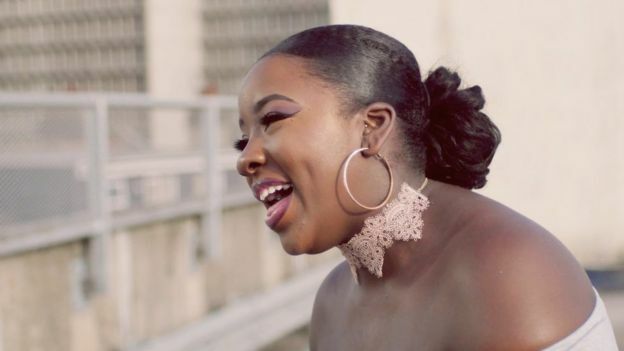 In 2017, Ray BLK won the BBC's Sound of Music but has yet to have a Top 40 chart hit - unlike Jorja Smith and Raye, who were also on the list. It's led to questions about whether their skin colour played a part in their success. Nicole Vassell, entertainment and features editor at Pride magazine - which is aimed at women of colour - says: "There's a reason why a lot of the rising stars and the people who are the highest in the industry are lighter-skinned. "The Beyonce's, the Rihanna's, obviously they have incredible talent but their lighter skin has been an advantage in getting them as far as they've gone. "There could be darker-skinned women that are just as talented but we might never know because the attention is not paid in their direction." Experts point to colourism being deep-rooted in history and racism - and people often experience it from others within their own race. Dr Kehinde Andrews, associate professor in sociology at Birmingham City University and co-chair of the Black Studies Association, says: "If we think about the idea of beauty and what is beautiful, racism is kind of based on this idea that you have this hierarchy - African black at the bottom and white European civilised at the top. "Essentially the further you are away from blackness, and the closer you are to whiteness, this has historically been seen to mean that you are good, you are pure, you are beautiful, you are intelligent." The debate around colourism has also extended to other parts of the entertainment industry. 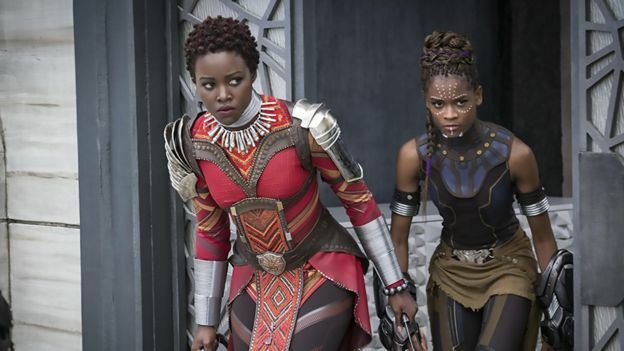 In film, the black actresses with big roles in the top 20 best-selling films in the UK in 2017 include Zoe Saldana, Tessa Thompson, Halle Berry, Elise Neal and Nathalie Emmanuel. When looking at magazines, the top four best-selling women's magazines (Cosmopolitan, Vogue, Grazia and Marie Claire) have had nine black female celebrities on 125 of their front covers since January 2017. These were Rihanna, Meghan Markle, Beyonce, Adwoa Aboah, Lupita Nyong'o, Zoe Kravitz, Zoe Saldana, Jennifer Hudson and Gugu Mbatha-Raw. 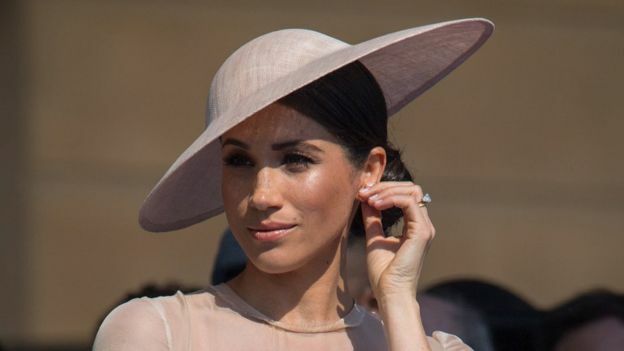 The Duchess of Sussex spoke about the issue of colourism in 2015 - saying as an actress she was seen as "ethnically ambiguous". Writing in Elle magazine, she said one of the reasons her role as Rachel Zane in the US legal drama Suits "stole her heart" was because it wasn't about the character's skin colour. "The show's producers weren't looking for someone mixed, nor someone white or black for that matter. "They were simply looking for Rachel." Star Wars actress Lupita Nyong'o has previously spoken about being teased for her "night-shaded skin" and would pray to God to wake up lighter-skinned. "Every day I experienced the same disappointment of being just as dark as I was the day before." 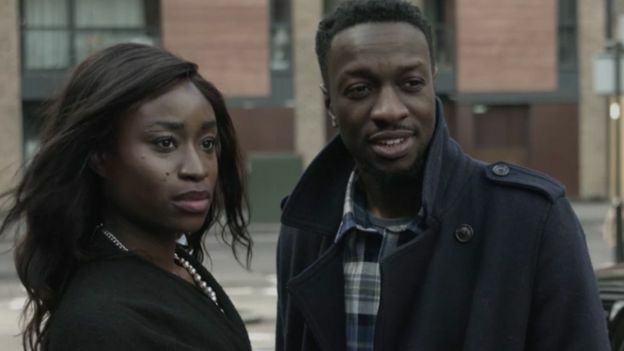 Actress Adele Oni plays a photographer in upcoming British film No Shade - which is all about colourism and love. She says: "We are all aware how inherent it is in our society, the concept of colourism and the concept of growing up and understanding if you're fairer skinned you're prettier in the eyes of men - and we accept it. "We never actually shine a light on it and it's fascinating how much of a problem it is." Media and entertainment has recently been celebrated for being more diverse. Edward Enninful, the first black editor of British Vogue took over in August last year, and the May issue of the magazine featured women with various skin tones. And Black Panther, whose cast includes Lupita Nyong'o and Letitia Wright, was praised for representing darker-skinned women in film. Jordan Mitchell, managing director for PR firm Liz Matthews PR, says the debate around colourism can "sometimes work against women of colour". "It's not enough to have someone that's black, it's about the right shade of black." She says the focus should be celebrating the fact the entertainment industry has become more diverse. "I know certainly from back in the day the only representation of a black woman would be someone like Halle Berry and that would've been it. "Whereas I think now there are so many black women of different shades that I think there is change and things are progressing." Lioness released a remix of her single DBT (Dead Black Ting) earlier this month - which featured several other darker-skinned female artists such as Lady Leshurr and Little Simz - to hit back at colourism. She says she now celebrates being darker-skinned and wanted the song to "touch on the fact that we are all one race whatever the shade". "I'm like 'Alright let's play this game - You're trying so hard to stop me just because of my appearance, all right cool let's play this game. "I'm going to burst open every single door I can possibly think of'."